To help gear up for studio recordings at De Lane Lea Studios, The Experience head to The Speakeasy to rehearse some of the songs scheduled for recording soon. Back at De Lane Lea Studios, The Experience worked on “Like A Rolling Stone” but struggled to record something that everyone liked. The Experience perform at The Orchid Ballroom in Surrey. Jimi Hendrix signs a US record contract with Warner Bros.
At the Marquee Club, The Experience are filmed performing “Hey Joe” and “Purple Haze” for the German television show Beat Club. The Experience visit the St. Quentin Flea Market at the suggestion of Alain Dister, who accompanies the group throughout the afternoon. Photos from the afternoon later appear in Dister’s book, It’s Only Rock And Roll. The Experience perform as part of the “Law Society Graduation Ball” for the Faculté de Droit d’Assas at Université Panthéon-Assas Paris II, where they are supported by The Pretty Things. The Experience travel to Belgium and perform at Twenty Club in Mouscron, Hainut. After the show they drive south back into France for a performance in Lens that evening. Following an afternoon performance in Mouscron, Belgium, The Experience drive south to Lens, France where they perform at Twenty Club. The Experience travel to the Sonian Forest (Zoniënwoud) on the outskirts of Brussels where they participate in a mimed television appearance for the Belgian show Vibrato. The forest location proves a unique setting for the television appearance. Although the show originally airs on March 21st, the original tapes are not preserved and no recordings exist from this date. 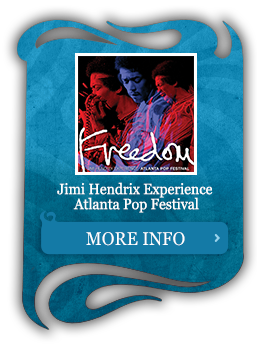 During their visit, The Experience are photographed in the forest and those images have appeared in a variety of publications over the years, including the 2000 box set The Jimi Hendrix Experience. Jimi Hendrix is interviewed by Jan Waldrop for the March 18th issue of Humo. After returning to Paris, Jimi Hendrix is interviewed by Jean Noel Coghe in his hotel room. 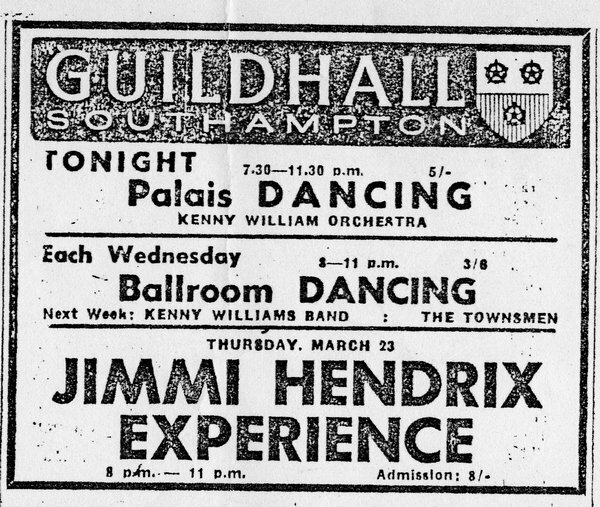 The Jimi Hendrix Experience perform at the Skyline Ballroom in Hull, Yorkshire with support from Family, The Small Faces, The Strollers and The Mandrakes. 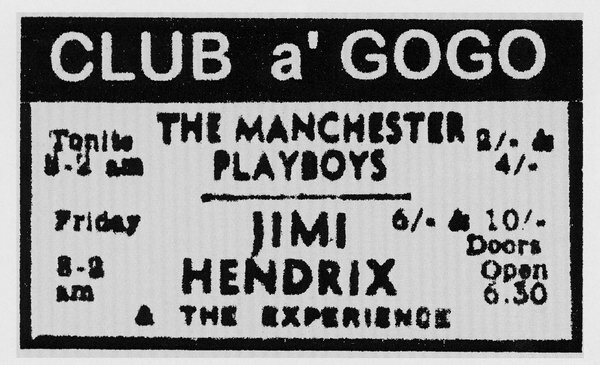 The Jimi Hendrix Experience perform two shows this evening at Michael Jeffrey’s own club Club A Go Go in Newcastle-upon-Tyne. The Experience perform at the International Club in Leeds. The Jimi Hendrix Experience perform at the Gyro Club, located in the Troutbeck Hotel in Ilkey, Yorkshire; however, the show is suspended when the police arrive and clear the room due to safety concerns caused by the size of the crowd in attendance. The Experience travel from London to Amsterdam where they check into the Hotel Schiller in Rembrandt Square (Rembrandtsplein) located in Central Amsterdam. While The Experience are traveling by taxi from Hotel Schiller to Bellevue TV Studios, Jimi Hendrix is interviewed by Peter Schreder for Hitweek. In the afternoon, The Experience head to Hilversum to conduct rehearsals for their forthcoming appearance on Fanclub, which is scheduled to air live on national television. 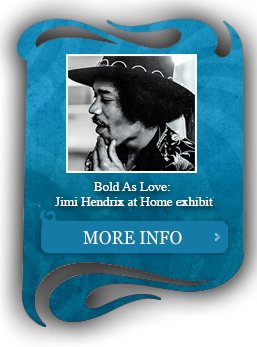 During the rehearsals, it is suggested that Hendrix mime the live performance because they are playing so loud that it knocked plaster off the ceiling in the studio below their rehearsal space. 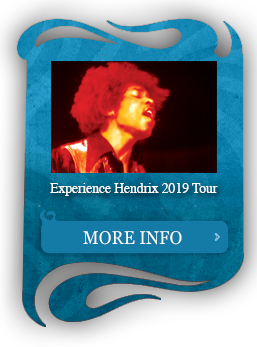 Despite considerable argument from Hendrix, the final live performance on Fanclub at 7 p.m. is in fact mimed while its broadcast throughout The Netherlands. As Fanclub was broadcast live, the performance was not preserved on film. Prior to heading back to London, The Experience participate in a photo session near Rembrandt Square in Amsterdam. Jimi Hendrix is interviewed by Klaes Borling of Swedish Radio which is broadcast on April 19th. Track Records Launch Party The Speakeasy City of Westminster London United Kingdom The Jimi Hendrix Experience attend the Track Records launch party at The Speakeasy. 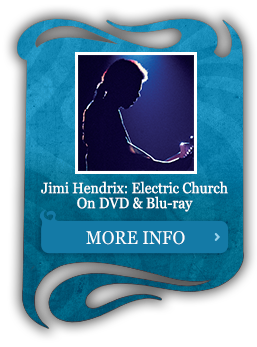 During the Track Records Launch Party, Jimi Hendrix is interviewed by Beat Instrumental. Eric Clapton who is also in attendance sits down and joins Hendrix in the interview. 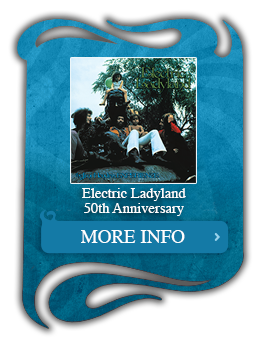 The Experience’s second single “Purple Haze” b/w “51st Anniversary” was released by Track Records in the United Kingdom. The Experience fly from London, England to Hamburg, Germany. Photographer Gunter Zint arranges for a Press Reception to greet The Experience when they arrive in Hamburg. 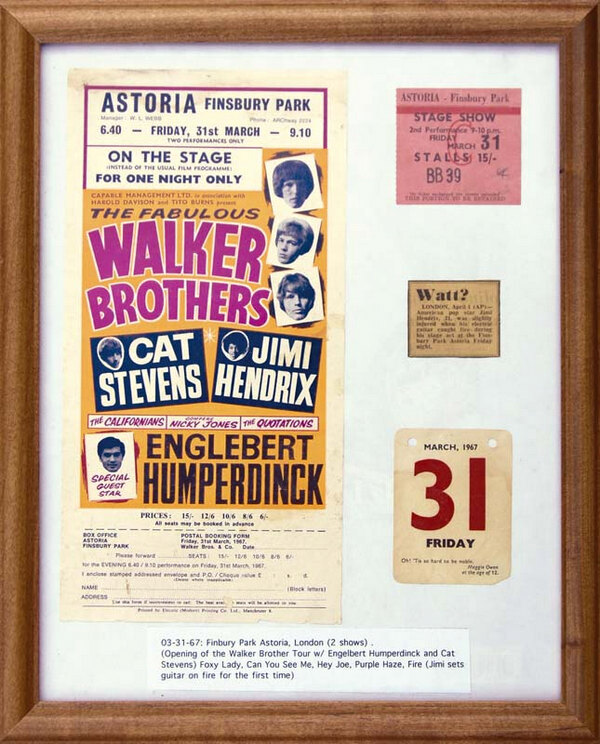 The Jimi Hendrix Experience perform their first show of what is a three-night stand at Hamburg’s famed Star-Club. The Jimi Hendrix Experience appear on Twenclub, a live radio program aired from Norddeutscher Rundfunk (aka NDR Radio 1). 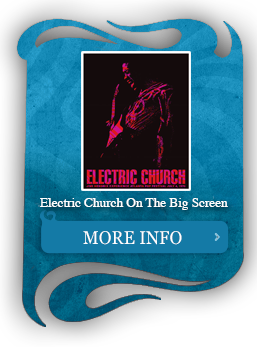 During their appearance, The Experience are interviewed before and after performing the following songs: “Foxey Lady,” “Hey Joe,” “Stone Free,” “Fire,” and “Purple Haze.” The show is later re-broadcast by the BBC throughout England on July 1st as part of the program, Hamburg Swings. The Jimi Hendrix Experience perform two shows at Hamburg’s Star-Club. Jimi Hendrix participates in a photo session with Garden Of The Antenna publicity firm. The Jimi Hendrix Experience perform their final two shows at Star-Club in Hamburg, Germany. The Experience complete a final photo session in Hamburg before flying to Luxembourg. The Experience fly from Hamburg to Luxembourg. The Jimi Hendrix Experience are interviewed live on Radio Luxembourg. The Experience return to London. Jimi Hendrix and his girlfriend Kathy Etchingham and Chas Chandler and his girlfriend Lottie Lexon move to their new flat at 43 Upper Berkeley Street in London. Their new flat is merely 7 blocks away from their old place at 34 Montagu Street. The Experience are photographed at Jimi’s new London apartments (43 Upper Berkeley Street). 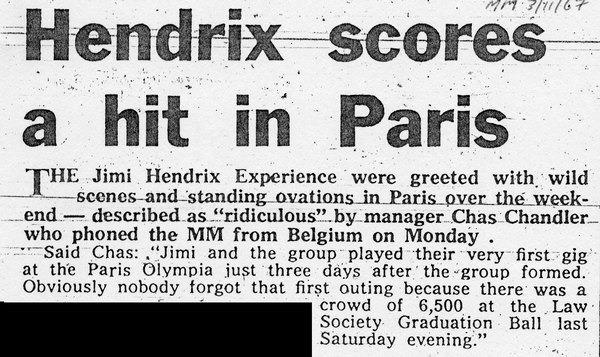 The Jimi Hendrix Experience are interviewed by Keith Altham for an April 15th article in New Musical Express. 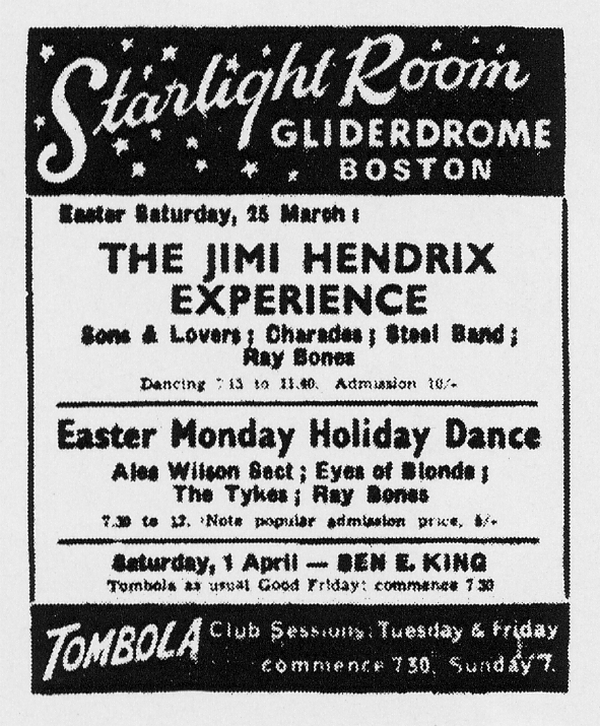 The Jimi Hendrix Experience perform at The Starlight Room in the Gliderdrome Bingo Hall with support from Sons & Lovers, Charades, The Steel Band and Ray Bones. 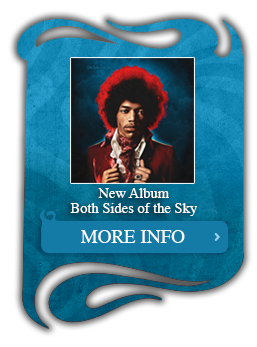 The Jimi Hendrix Experience record “Purple Haze” for the April 4th episode of the BBC television show Dee Time. Cat Stevens, Kiki Dee, Libby Morris, Mike Newman and Lance Percival are also guests on this episode. Unfortunately, no tapes of this episode remain in the BBC archives. The Jimi Hendrix Experience appear on the BBC Radio program Saturday Club, performing “Killing Floor,” “Fire,” and “Purple Haze.” This March 28th recording would first broadcast on April 1st. These songs have since been included on the 1998 release of The Jimi Hendrix Experience: BBC Sessions. 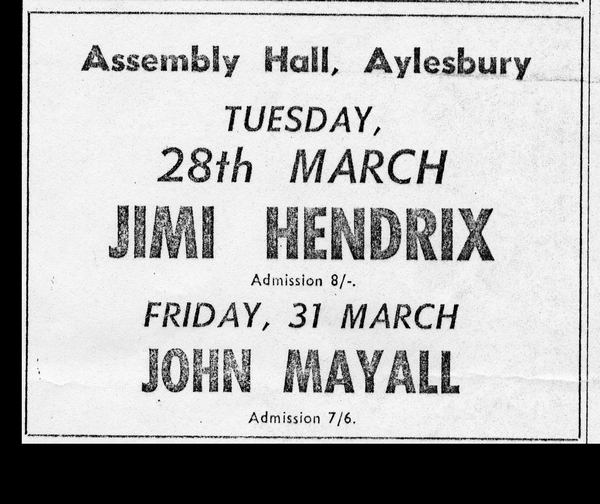 The Jimi Hendrix Experience perform at Assembly Hall in Aylesbury.